We all deserve some relaxation, right? Homemade products are the best because they are affordable and you know exactly what ingredients are in them! The lavender in this bath soak smells amazing and helps to make bath time that more relaxing, it also leaves your skin feeling so smooth! 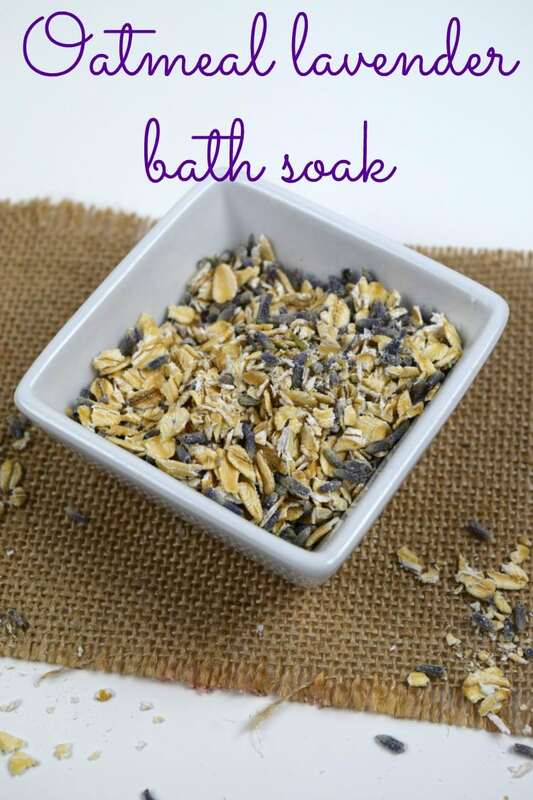 This DIY Oatmeal Bath Soak that was so easy to make and so relaxing to use in the tub. Not to mention it only requires two ingredients. Win! Looking for more fun crafts? Check out my easy DIY crafts! Grab your cutting board and lay it out on a flat surface. Pour your oats out on the cutting board and using your knife chop up the oatmeal as finely as possible. If you choose to use a blender just place the oats in the blender and pulse it until you have your desired consistency. Once the oats are chopped up and/or blended pour your lavender buds on top of the oats and give it a quick mix. Place in a bowl or an airtight container and keep in your bathroom near your tub. 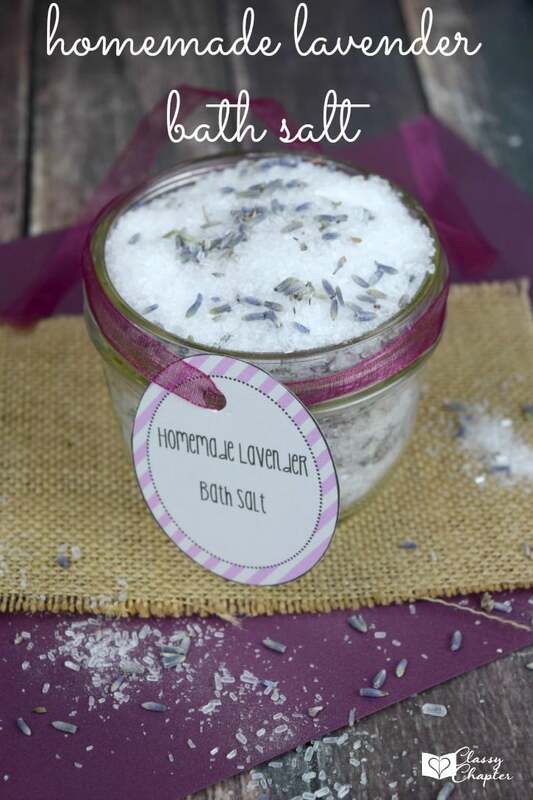 To use just grab a spoonful of this DIY Oatmeal Lavender Bath Soak and toss into a bath and enjoy. I am a big fan of lavender and it always makes me feel relaxed! I will have to try your bath soak as totally need an excuse to relax! I haven’t tried oatmeal in a bath soak before. I love the idea of using lavender for relaxation! Oh yes! I’ve heard a lot about oatmeal baths and the relaxation affects of lavender. Nice to combine the two! It looks like it would be relaxing! I love that combo oatmeal and lavender! I bet that smells amazing and the oatmeal looks like it will be amazing for the soak! I love Lavender everything. So I know I would love this, and oatmeal does wonders for my terrible skin so LOVE LOVE. I will have to make this. I am a huge lavender lover and can not get enough, thanks for the bath soak recipe. That sounds so delicious right now. I wish I could get my hands on some of those lavender buds right now. I recently got my mom a stuffed bear that smells like lavender (she has Alz) and it is so calming just to smell. I will definitely be giving this a try! Fun! I love doing DIY home beauty treatment posts, and baths are my thang! Can’t wait to try this. I love your tag line by the way ;-). This does sound really simple to make and oatmeal baths have always been good for you and used for centuries probably. Adding the lavender is just an added bonus. Michele recently posted…It’s a Rare Weekday Sale from American Tea Room! I love oatmeal baths, it’s great for the skin! Adding lavender is a great idea for additional relaxation. Perfect combo! I love the smell of lavender. We use a lot of lavender scented products in the bath but never with oatmeal. I’m going to try this. I bet this would be wonderful in the bath. I love soaking in an oatmeal bath. To be honest I never knew you could use oatmeal for a bath soak. Very interesting! Definitely want to try it. I haven’t had a nice long bath in a good long while. I’d love to try the oatmeal bath soak. Lavender is probably my favorite scent in bath products. All your products look so refreshing and I can almost smell the lavender scent. And I love how easy they are too make and definitely cheaper than buying. This is such a great idea!! I have never thought to put oatmeal in a bath scrub. I bet the water smells amazing!! What a fun and appealing DIY. My bathtime is a ritual in my evening routine. It is my time to relax and unwind after a long day and I absolutely love to unwind with the scent of lavender. I had no idea how simple and easy it would be to make my own Oatmeal soak scented with my favorite scent! Thanks for sharing!